Blissfully Insane… in the Kitchen | Recipes, experiments and disasters of an amateur baker, baking without eggs. I moonlight as a baker, and spend my days as a digital marketer. I recently put together a review of the year that was 2014 in digital advertising, and realized that I should probably put together a review of the year for Blissfully Insane too, especially since I didn’t necessarily post about all the stuff I worked on this past year. 2014 was a personally fulfilling year for me as a baker. It was the year I took my skills to the next level, incorporating visual art in my culinary endeavors. It started a little tentatively as I modeled my first 2 tier cake for a friend’s baby shower, and then escalated quickly through interesting challenges my family put before me. 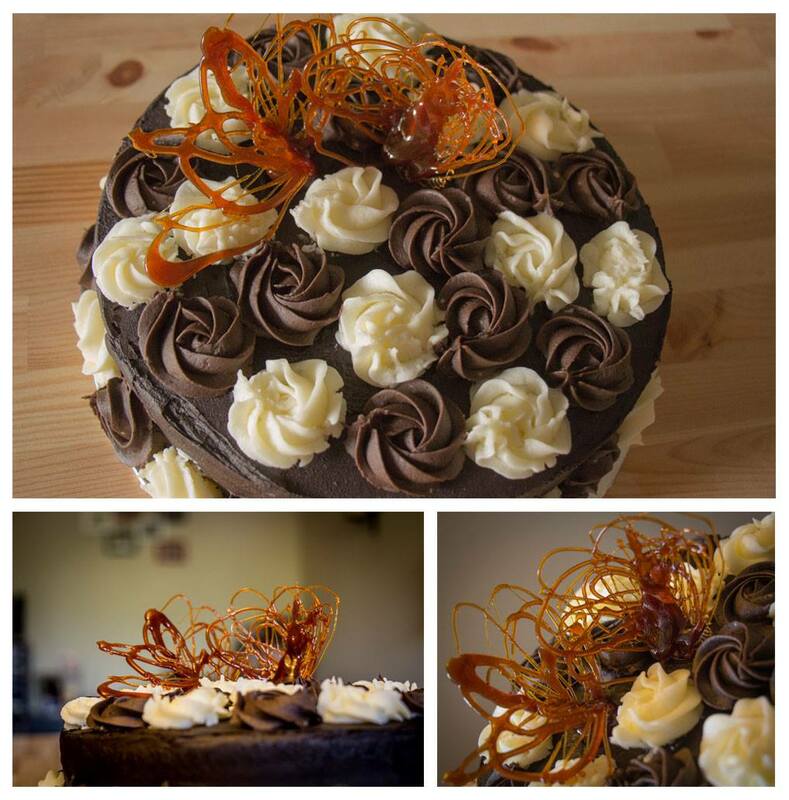 So here it is, a review of my year as a baker. Here’s hoping that 2015 brings even more interesting baking challenges my way. 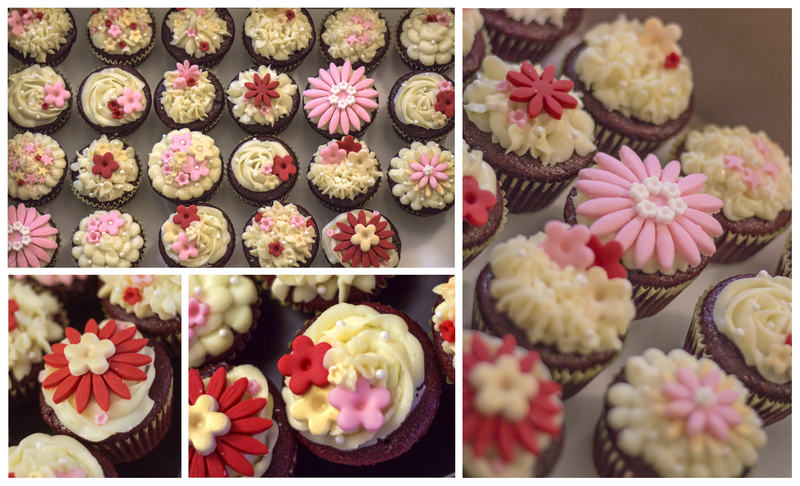 Challenge #6: Pink, red, white cupcakes that shouldn’t remind the birthday girl of Valentine’s Day! Happy Halloween! Over the last few years, my friends and I have established a tradition of spooky house parties, replete with flaming liquor shots, hours of dancing, complaining neighbors and Halloween treats! Last year, I hosted the mad affair and enjoyed using food as decoration. 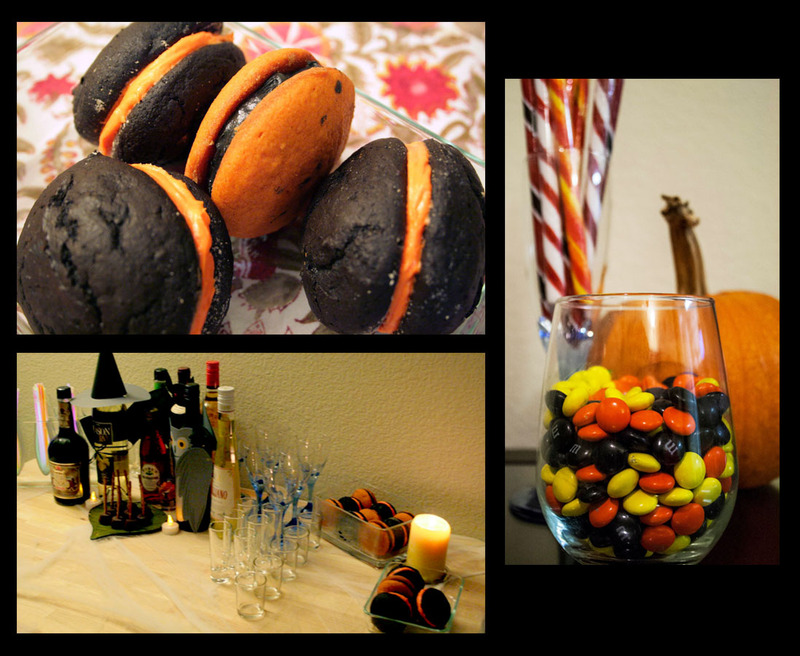 There were uncarved pumpkins, peppermint sticks in red, white, yellow & black, m&ms, and black and orange whoopie pies! It was the first time I made whoopie pies, and honestly, I didn’t love them. Suffices to say, I won’t be making them again. But they did fit the theme. This year, the party moved to my friend’s place, and the inspiration came from Pinterest! 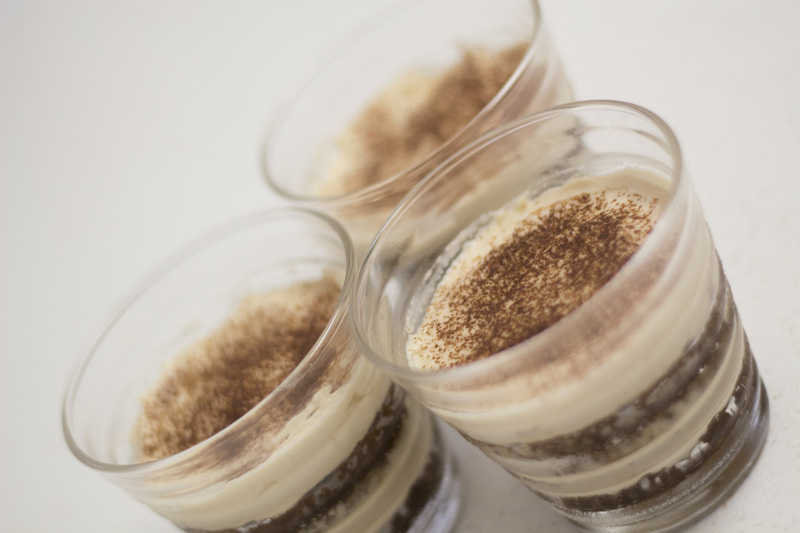 I absolutely loved making the Tiramisu graveyards and the black velvet ‘curse-cakes’. Flatten a marshmellow by pressing between your palms. Take your edible colors pen and write RIP on it. If you’re particularly adventurous, you can pipe some royal icing instead too. Stick it in the cream as if it were a tombstone. Place the chocolate covered strawberries around the marshmellow to mimic rocks. I had one whole, and one halved chocolate in each bowl. What would a witch look like if she got reduced to a cupcake? 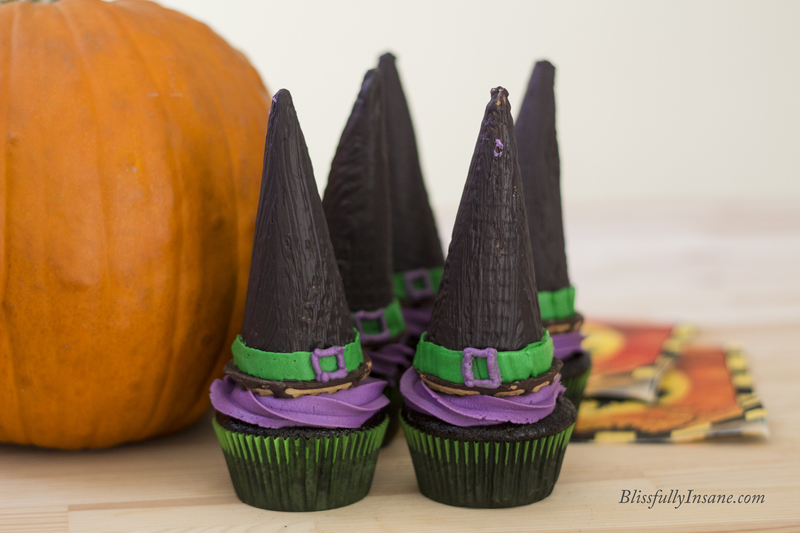 I adapted the Red Velvet – Cream Cheese cupcake recipe and swapped out the red color with black, and tinted the cream cheese with a mix of violet and fuschia colors to achieve the witch’s purple. Heat the candy melts and brush onto the waffle cones. Let it dry before you touch it again. Frost the cupcakes with the purple frosting using a 1M tip. Make sure you have a little left aside for later. Take some of the leftover frosting to line the base of the cone and place over the cookie. Put it in the fridge to dry. 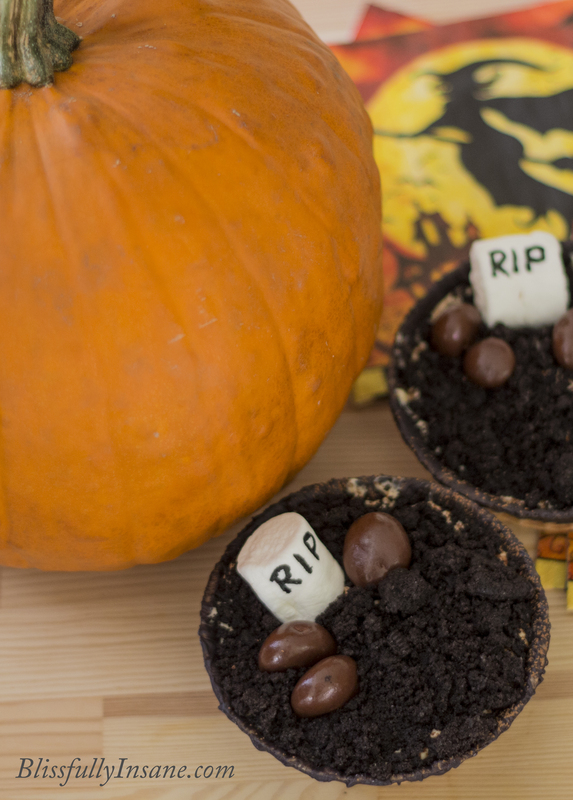 These ‘spooky’ desserts were easy to put together and were a great hit at the party. The cupcakes gave the expecting Moms and new Moms an alternative to the boozy Tiramisu and the witch ‘hats’ prompted a ton of silly jokes. Here’s looking forward to more Halloween fun next year! The theme for the party was “Make Your Own…(lemonade)….(pizza)”. 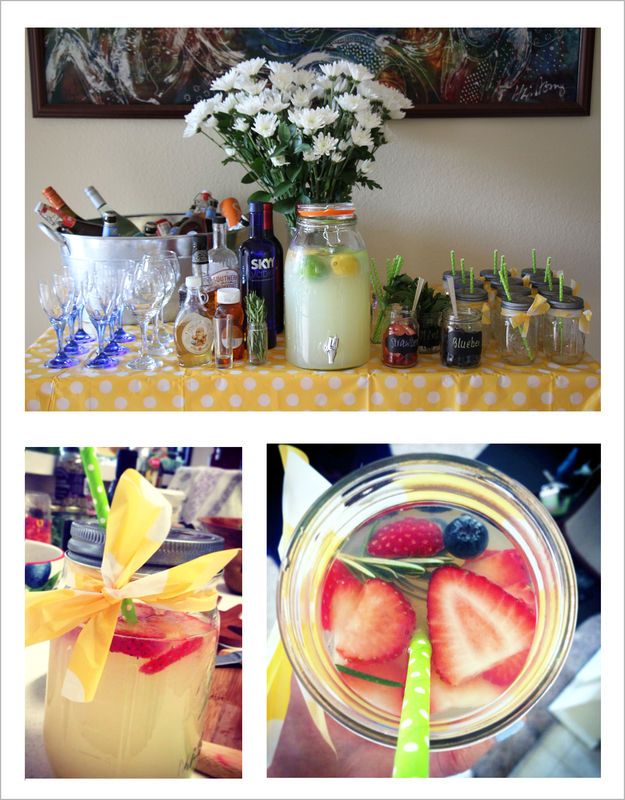 And boy did we make our own bourbon spiked lemonade, in pretty mason jars…. 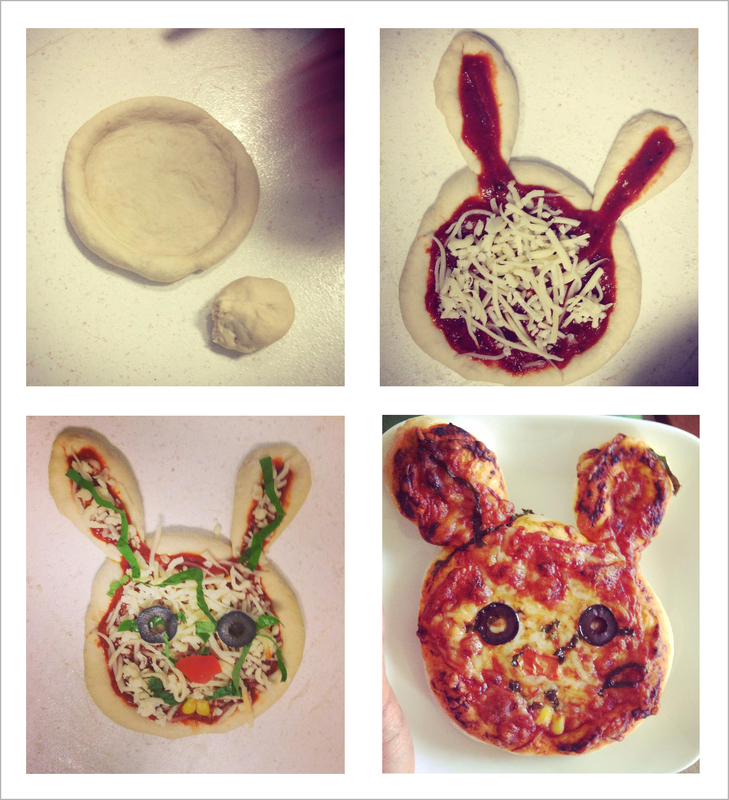 ….and rabbit shaped pizzas, courtesy of K! 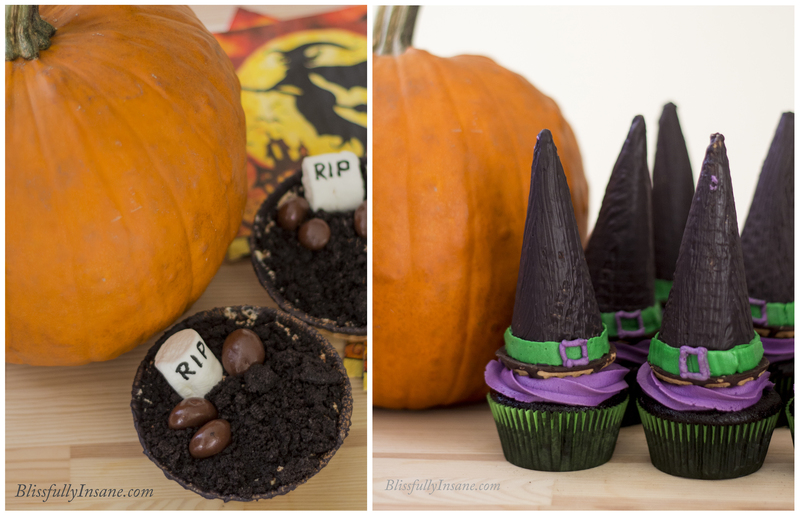 This weekend, I hosted one of the most fun, and surprisingly family-friendly parties. The kids discovered the lemonade bar and fruit before the adults, and got rather creative with stretching their own pizza dough and toppings. I got a mini pizza courtesy of one (it was the size of a slightly over-sized dollar coin). Other pizzas that made an appearance were the rabbit, and the owl! And finally, pineapples made a Hawaiian! The only thing that people weren’t making…. was dessert. 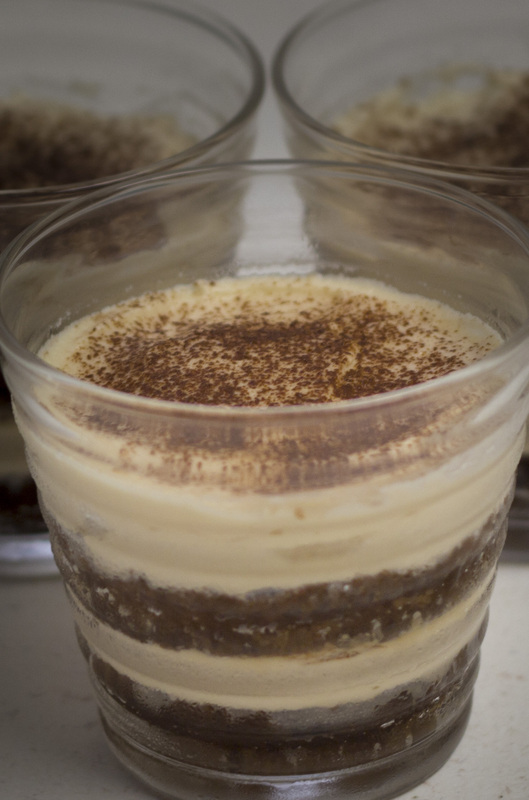 And not because I didn’t get all the ingredients for a sweet dessert pizza, but because I totally wanted to make Tiramisu for about the second time in my life. And I made a few enhancements to the last recipe. And, it was phenomenal. I usually don’t eat more than a small serving of the desserts I make. But this one, I had 2.5 servings of. Things to note: this isn’t a 100% authentic, because I replaced the lady fingers with chocolate cake. But it’s a substitution worth making. Quick tips: Clean the sides of your serving bowl with a damp paper towel after each layer to ensure your glass/bowl looks clean. This is probably the bit that took me the most time! Enjoy — I certainly did and I can’t wait to make this all over again! If only I was as regular with posting my recipes as I am at baking. This post has been months and months in the making. The top layer of this 2 tier cake was a moist chocolate cake with strawberry buttercream frosting. I’ve always found berries hard to work with. It’s easy for the buttercream to break with the acids in the berries. This time, I tried something slightly different, that might feel a bit like cheating, but was pretty delicious and well received. 1. Cream the butter with a whisk. Add the sifted powdered sugar at a low speed until incorporated. 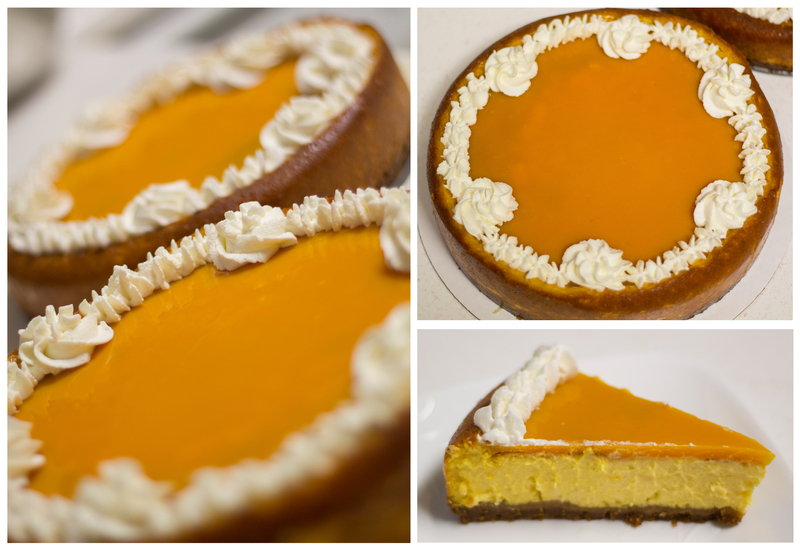 I prefer my buttercream slightly tart and not too sweet – so I recommend adding 1/2 cup at a time and tasting as you go. 2. Whisk the strawberry preserve/jam so that its nice and smooth. When the buttercream is smooth, gently fold in the strawberry preserve. Add salt to your taste. You may want to add more jam or sugar to your taste. But these are good proportions to start from. If you’re looking for a thinner buttercream, simply add some whipping cream, a tablespoon at a time. For the chocolate cake, here’s the recipe I used. I have a philosophy. It usually goes like “only cook with the ingredients that taste delicious”. Because food needs to be delicious in its entirety, not just in bits and pieces. But I also believe that food engages 4 out of 5 senses, and the visual cues it brings up are just as important as the havoc it plays on your taste buds. So I did something I don’t usually do, recently. 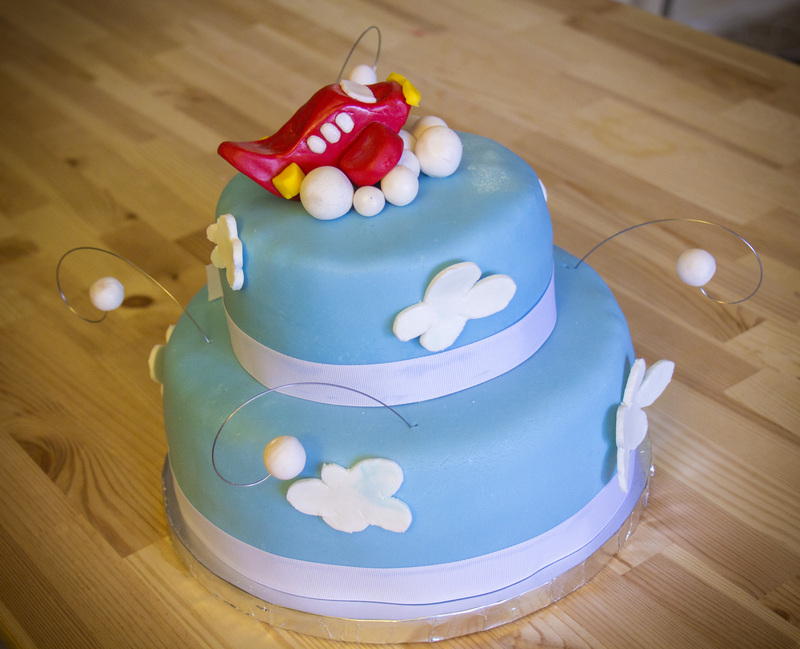 I worked with fondant. The results, though not perfect, were still fantastic. 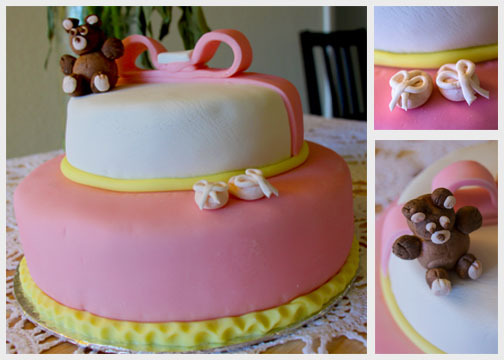 I learned a ton about working with fondant and the different types of fondant in the market. 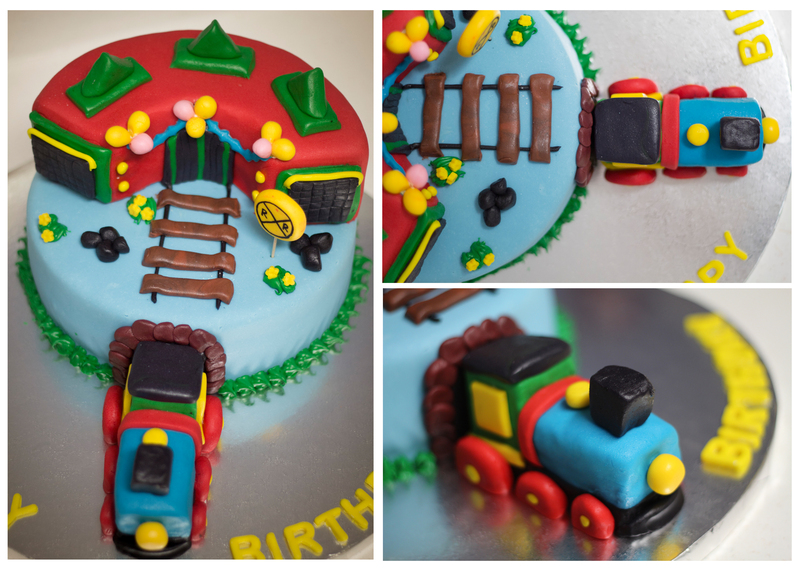 Since this was a 2 tier cake with 2 different cake flavors, and I have much to share about working with fondant and gumpaste, I’m divvying up the blog post into 3 parts. Dust and grease a 9 x 3 round pan. Preheat oven to 350 degrees F.
Mix juices, oil, extracts, orange zest in a bowl. Tip: You can substitute the 2 different juices with any available orange juice if you don’t have access to the Naked and Cuties brands. I’ve just found that the flavor is great with Naked in it. I might also recommend trying adding 1/2 cup of mango juice to 1.5 cups of orange juice as a substitute for the brands called out in this recipe. In a separate bowl, mix the flour, sugar, baking soda and salt. Gently fold the liquid ingredients into the dry ingredients. Do not beat. Add the water to easen up the mix and pour into the greased and dusted pan. Tip: If after 20 minutes it seems like your top is cooking without the bottom, cover the pan with foil to avoid the top of your cake from burning. Cream the butter. On the low speed of your beater, add the powdered sugar until just incorporated. Increase your speed to medium, and add the extracts, salt and cream and beat till you see stiff peaks. 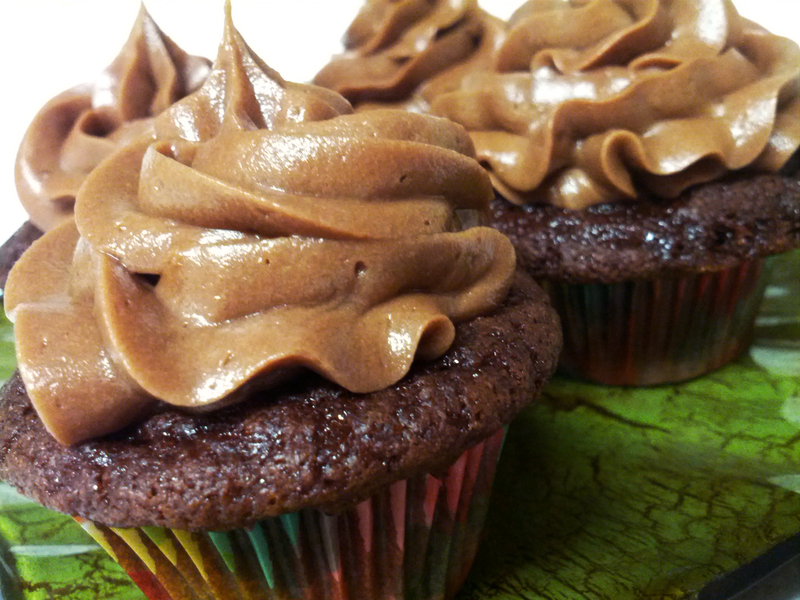 Note: I don’t like my frosting too sweet – so I typically prefer to add 1.5 cups of sifted sugar to 1 cup of butter. I’d suggest adjusting the amount of sugar to your taste. Once your cake has baked, let it cool overnight, or at least 2-3 hours – first on a cooling rack and then in the fridge. 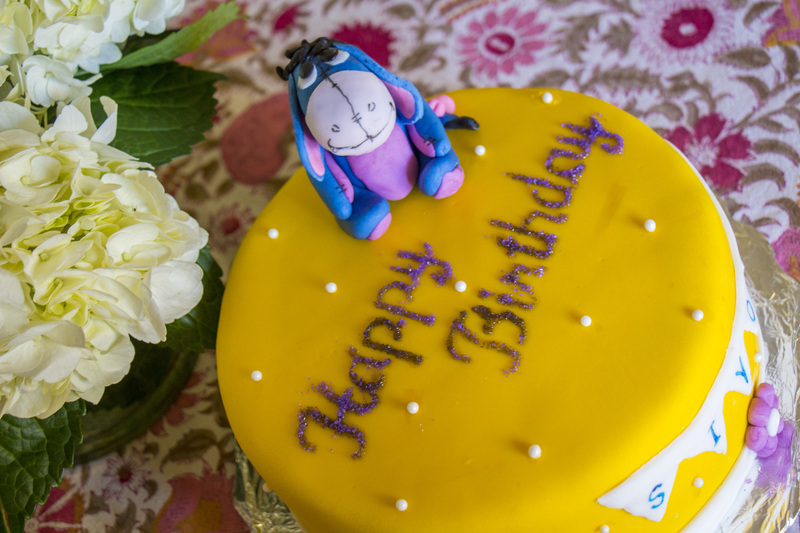 Cut the cake into 3 even layers with a sharp serrated knife. 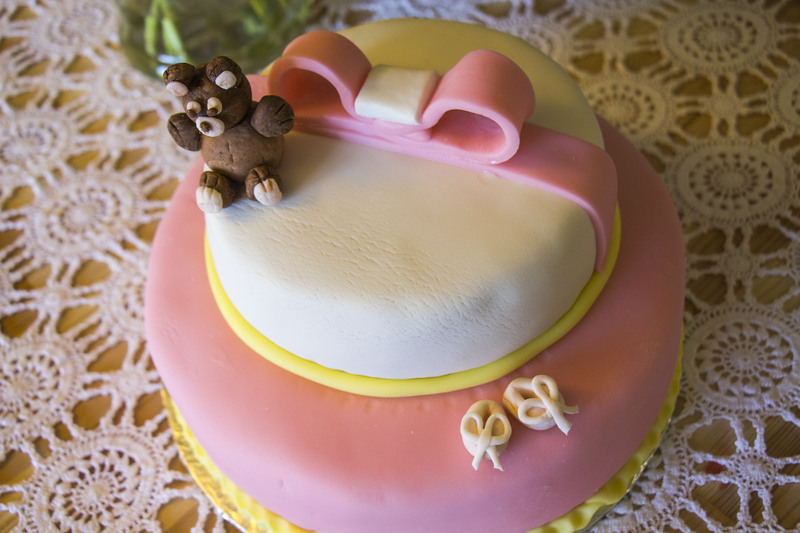 Tip: Wash your knife with boiling hot water and wipe down quickly before cutting the cake. The hot knife cuts through the cake much better. 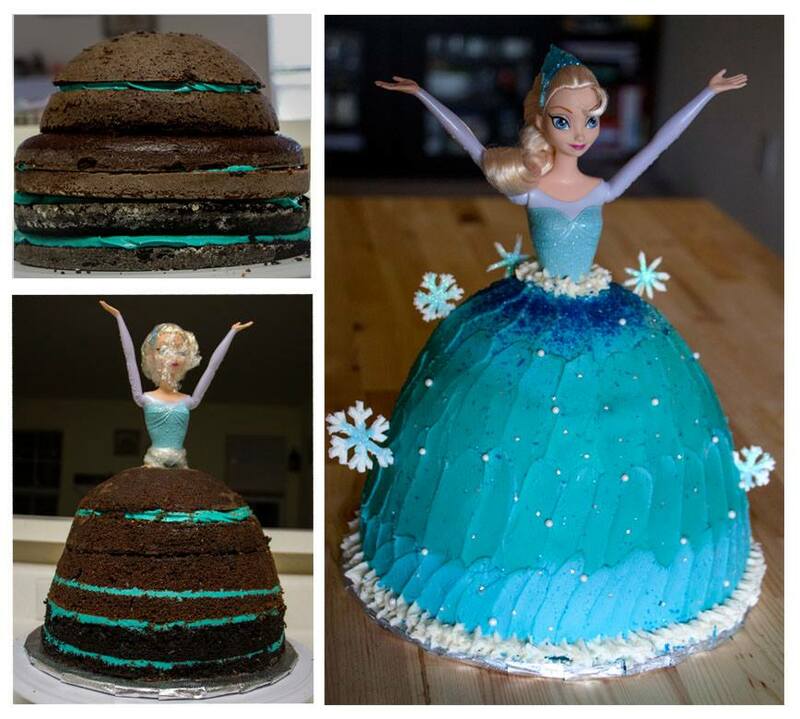 Frost your cake between the layers and also cover the cake with frosting all around, smoothening it. Stick it in the fridge for 15 – 20 minutes. Spritz some cold water over the cake (not a ton!) and then cover with fondant. Tip: Since I didn’t have a spritzer, I brushed it with some water instead. Whenever I describe this cake to people, they wonder about it. It’s not a flavor they immediately gravitate towards. But every time I’ve served it, people go for seconds and thirds. It’s my secret weapon that’s guaranteed to please. 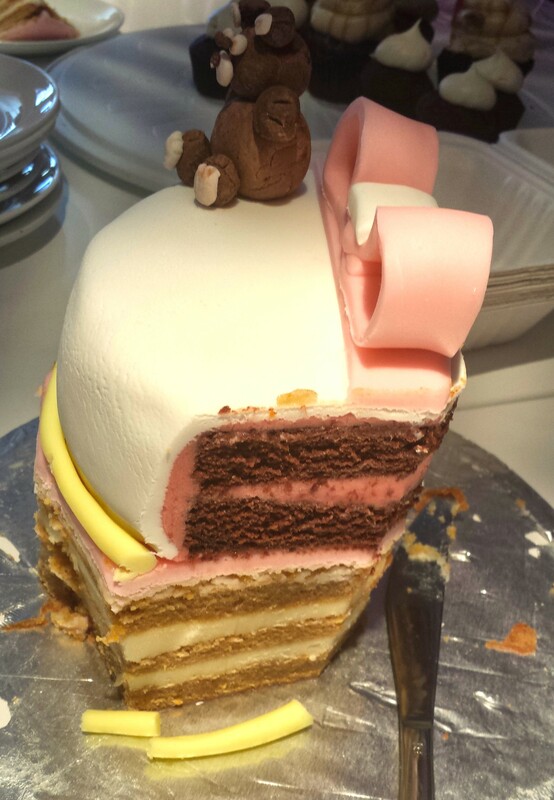 Up next: Part II – Eggless Chocolate Cake with Strawberry Buttercream. “I’m terrified of my oven”, N said. “Will you teach me?”, she said. And so, on Friday evening, right after we finished our dinner of Spinach Soup and Teriyaki Noodles, N & I got to work in the kitchen, listening to my new acoustic Pandora station full of the sounds of Passenger, Sarah Bareilles, Jack Johnson. 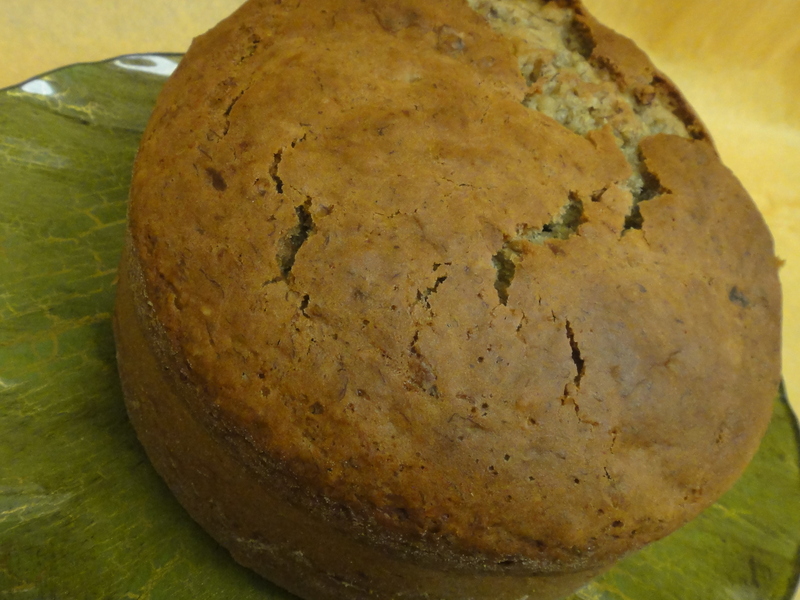 And as N realized, making banana cake isn’t rocket science. 1) Preheat your oven to 350 degrees F. Dust and grease a 6″ pan. 4) Add to it the oil, buttermilk, water and vanilla and gently fold the dough – it will be a little tough. 5) Gently mix the mashed bananas with the cake dough. The consistency will be thick, but you should be able to easily stir it. 6) Bake in the oven for 1hr or until a knife through the cake comes out clean. After the first 20 minutes, make sure you cover the pan with foil, to ensure the top doesn’t burn. 7) Turn out over a cake rack to cool before serving. “It smells so good”, said N.
Add a 1/4 cup semi-sweet chocolate chips and fold into mix before pouring the dough into the pan for banana chocolate-chip cake. Add a 1/4 cup chopped walnuts to the mix before pouring into the pan for banana walnut cake. 1995. That was the first time I ever had Nutella. And honest to God, it was love at first taste. I’d dream of dollops of chocolatey hazelnut goodness on my bread, on my crackers, on my dessert, on my spoon…. I’m surprised I didn’t try this before. But the other day, as I was browsing my Pinterest boards, I came upon this beautiful, beautiful recipe from Hummingbird on High. I played with the recipe and came up with a vegetarian version (sans eggs) that was nothing short of delicious. It was also a good time to experiment with my new mini cupcake pan – until I realized, that I filled them up too much, making my cupcakes a little “muffin-y”. However, they tasted delicious and I will most definitely be making these again. If your buttercream is too soft, simply refrigerate it for a little while. Make sure its soft but firm when you begin frosting.